This updated 2BD/2.5BA Alpine Meadows unit boasts views of Emerald Mountain, convenient proximity to the free bus route, an open floor plan, and many updated touches throughout. With immediate access to the core trail, commuting to work or hitting the trails is a breeze. Enjoy river access just across the street where Walton Creek meanders down toward the iconic Yampa River. 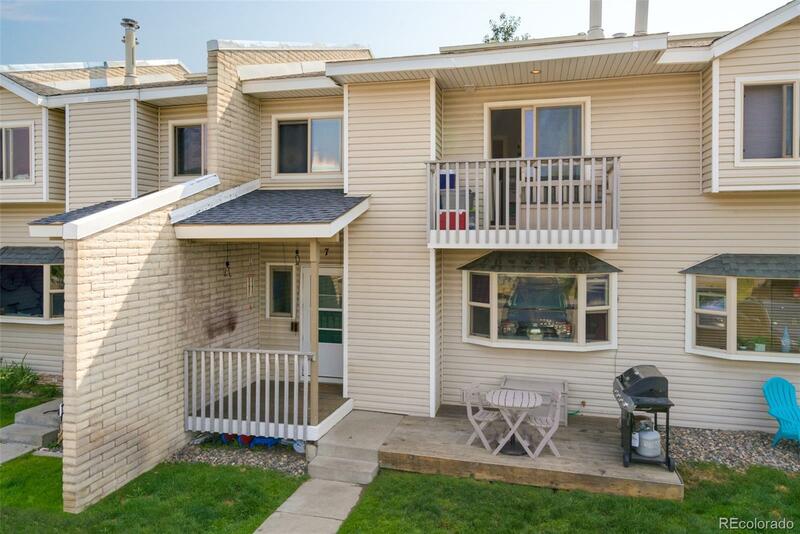 The front of the Townhome offers a large extended deck, perfect for evening grilling and soaking up the sunset after a busy day recreating. The main level is flooded with natural light, and is complemented with tasteful paint colors and modern trim. Enjoy a wood burning fireplace on the main level, creating the perfect AprÃ¨s Ski ambiance, as well as heating efficiency. The master bedroom features en-suite bath and his and hers closets - rare for this development. Make this exceptional Alpine Meadows Townhome your jumping off point and enjoy the Steamboat lifestyle.